When she was 16, Mary Darby, the actress who would become known as Perdita, succumbed to pressure from her family and married Thomas Robinson, an articled clerk who claimed, falsely, to have an inheritance. Mary wasn’t in love with her husband, and their union was unhappy. During the remainder of the evening Mr. Wayman expatiated on the many good qualities of his friend Mr. Robinson: spoke of his future expectations from a rich old uncle; of his probable advancement in his profession; and, more than all, of his enthusiastic admiration of me. A few days after Mr. Robinson paid my mother a visit. We had now removed to Villars Street, York Buildings. My mother’s fondness for books of a moral and religious character was not lost upon my new lover, and elegantly bound editions of Hervey’s “Meditations,” with some others of a similar description, were presented as small tokens of admiration and respect. My mother was beguiled by these little interesting attentions, and soon began to feel a strong predilection in favour of Mr. Robinson. Every day some new mark of respect augmented my mother’s favourable opinion; till Mr. Robinson became so great a favourite that he seemed to her the most perfect of existing beings. Just at this period my brother George sickened for the smallpox; my mother idolised him; he was dangerously ill. Mr. Robinson was indefatigable in his attentions, and my appearance on the stage was postponed till the period of his perfect recovery. Day and night Mr. Robinson devoted himself to the task of consoling my mother, and of attending to her darling boy; hourly, and indeed momentarily, Mr. Robinson’s praises were reiterated with enthusiasm by my mother. He was “the kindest, the best of mortals!” the least addicted to worldly follies, and the man, of all others, whom she should adore as a son-in-law. My brother recovered at the period when I sickened from the infection of his disease. I felt little terror at the approaches of a dangerous and deforming malady; for, I know not why, but personal beauty has never been to me an object of material solicitude. It was now that Mr. Robinson exerted all his assiduity to win my affections; it was when a destructive disorder menaced my features, and the few graces that nature had lent them, that he professed a disinterested fondness; every day he attended with the zeal of a brother, and that zeal made an impression of gratitude upon my heart, which was the source of all my succeeding sorrows. During my illness Mr. Robinson so powerfully wrought upon the feelings of my mother, that she prevailed on me to promise, in case I should recover, to give him my hand in marriage. The words of my father were frequently repeated, not without some innuendoes that I refused my ready consent to a union with Mr. Robinson, from a blind partiality to the libertine Captain–. Repeatedly urged and hourly reminded of my father’s vow, I at last consented, and the banns were published while I was yet lying on a bed of sickness. I was then only a few months advanced in my sixteenth year. My mother, whose affection for me was boundless, notwithstanding her hopes of my forming an alliance that would be productive of felicity, still felt the most severe pain at the thought of our approaching separation. She was estranged from a husband’s affections; she had treasured up all her fondest hopes in the society of an only daughter; she knew that no earthly pleasure can compensate for the loss of that sweet sympathy which is the bond of union betwixt child and parent. Her regrets were infinite as they were evident, and Mr. Robinson, in order to remove any obstacle which this consideration might throw in the way of our marriage, voluntarily proposed that she should reside with us. He represented me as too young and inexperienced to superintend domestic concerns; and while he flattered my mother’s amour propre, he rather requested her aid as a sacrifice to his interest than as an obligation conferred on her. The banns were published three successive Sundays at St. Martin’s Church, and the day was fixed for our marriage–the twelfth of April. It was not till all preliminaries were adjusted that Mr. Robinson, With much apparent agitation, suggested the necessity of keeping our union a secret. I was astonished at the proposal; but two reasons were given for his having made it, both of which seemed plausible; the first was, that Mr. Robinson had still three months to serve before his articles to Messrs. Vernon and Elderton expired; and the second was, the hope which a young lady entertained of forming a matrimonial union with Mr. Robinson as soon as that period should arrive. 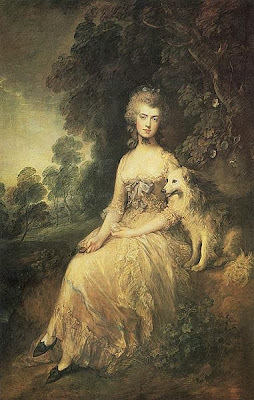 The latter reason alarmed me, but I was most solemnly assured that all the affection was cherished on the lady’s part–that Mr. Robinson was particularly averse to the idea of such a marriage, and that as soon as he should become of age his independence would place him beyond the control of any person whatsoever. I now proposed deferring our wedding-day till that period. I pleaded that I thought myself too young to encounter the cares and important duties of domestic life; I shrunk from the idea of everything clandestine, and anticipated a thousand ill consequences that might attend on a concealed marriage. My scruples only seemed to increase Mr. Robinson’s impatience for that ceremony which should make me his for ever. He represented to my mother the disapprobation which my father would not fail to evince at my adopting a theatrical life in preference to engaging in an honourable and prosperous connection. He so powerfully worked upon the credulity of my beloved parent that she became a decided convert to his opinions. My youth, my person, he represented as the destined snares for my honour on a public stage, where all the attractions of the mimic scene would combine to render me a fascinating object. He also persuaded her that my health would suffer by the fatigues and exertions of the profession, and that probably I might be induced to marry some man who would not approve of a mother’s forming a part in our domestic establishment. These circumstances were repeatedly urged in favour of the union. Still I felt an almost instinctive repugnance at the thought of a clandestine marriage. My mother, whose parental fondness was ever watchful for my safety, now imagined that my objections proceeded from a fixed partiality towards the libertine Captain–, who, though he had not the temerity to present himself before my mother, persisted in writing to me, and in following me whenever I appeared in public. I never spoke to him after the story of his marriage was repeated to my mother; I never corresponded with him, but felt a decided and proud indignation whenever his name was mentioned in my presence. My appearance on the stage had been put off from time to time, till Mr. Garrick became impatient, and desired my mother to allow of his fixing the night of important trial. It was now that Mr. Robinson and my mother united. In persuading me to relinquish my project; and so perpetually, during three days, was I tormented on the subject–so ridiculed for having permitted the banns to be published, and afterwards hesitating to fulfil my contract, that I consented–and was married. As soon as the day of my wedding was fixed, it was deemed necessary that a total revolution should take place in my external appearance. I had till that period worn the habit of a child, and the dress of a woman so suddenly assumed sat rather awkwardly upon me. Still, so juvenile was my appearance, that even two years after my union with Mr. Robinson I was always accosted with the appellation of Miss whenever I entered a shop or was in company with strangers. My manners were no less childish than my appearance; only three months before I became a wife I had dressed a doll, and such was my dislike to the idea of a matrimonial alliance that the only circumstance which induced me to marry was that of being still permitted to reside with my mother, and to live separated, at least for some time, from my husband. My heart, even when I knelt at the altar, was as free from any tender impression as it had been at the moment of my birth. I knew not the sensation of any sentiment beyond that of esteem; love was still a stranger to my bosom. I had never, then, seen the being who was destined to inspire a thought which might influence my fancy or excite an interest in my mind, and I well remember that even while I was pronouncing the marriage vow my fancy involuntarily wandered to that scene where I had hoped to support myself with éclat and reputation. The ceremony was performed by Dr. Saunders, the venerable vicar of St. Martin’s, who, at the conclusion of the ceremony, declared that he had never before performed the office for so young a bride. The clerk officiated as father; my mother and the woman who opened the pews were the only witnesses to the union. I was dressed in the habit of a Quaker–a society to which, in early youth, I was particularly partial. From the church we repaired to the house of a female friend, where a splendid breakfast was waiting; I changed my dress to one of white muslin, a chip hat adorned with white ribbons, a white sarsnet scarf-cloak, and slippers of white satin embroidered with silver. I mention these trifling circumstances because they lead to some others of more importance. From the house of my mother’s friend we set out for the inn at Maidenhead Bridge, Mr. Robinson and myself in a phaeton, my mother in a post-chaise; we were also accompanied by a gentleman by the name of Balack, a very intimate acquaintance and schoolfellow of my husband, who was not apprised of our wedding, but who nevertheless considered Mr. Robinson as my avowed suitor. On his first seeing me, he remarked that I was “dressed like a bride.” The observation overwhelmed me with confusion. During the day I was more than pensive–I was melancholy; I considered all that had passed as a vision, and would scarcely persuade myself that the union which I had permitted to be solemnised was indissoluble. My mother frequently remarked my evident chagrin; and in the evening, while we strolled together in the garden which was opposite the inn, I told her, with a torrent of tears, the vouchers of my sincerity, that I was the most wretched of mortals! that I felt the most perfect esteem for Mr. Robinson, but that, according to my ideas of domestic happiness, there should be a warm and powerful union of soul, to which I was yet totally a stranger.